A 5 petals flower, with beads in the middle. I spotted this wire flower at the MoMA Store few years ago. I don't remember the designer, and couldn't find it online. If you happen to recognize it, please let me know who designed it, so I can give credit. * once one end of the wire is too short, start with the other side until you're happy with the overall look. * loop the ends of the wire with the pliers so it won't be pocking you! At this point you can pick wether you want a ring, a pendant or a pin. 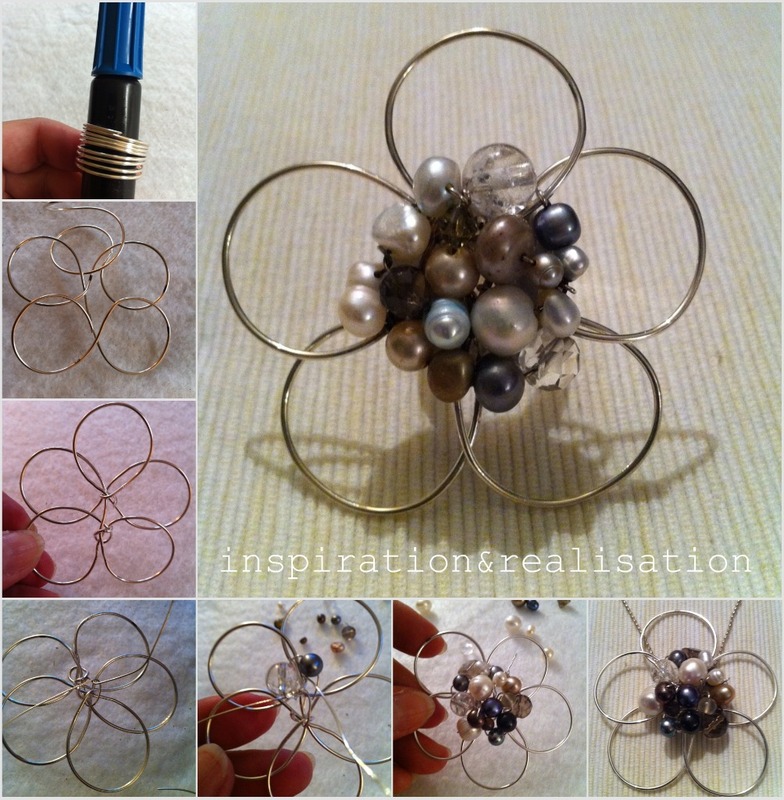 For the pendant, add a jumping and a chain or a cord, for making a ring or a pin, take a base ring or a base pin, get busy with your glue gun and stick the flower on top of the base! The first one will be a bit time consuming, but then you get the hang of it and you can't stop!! You really make it look so easy. But I know it is not. Your choice of beads are stunning. I might just try this so I will pin it for later. Beautiful. I would love to have this as a necklace or a ring. I would love for you to share at Bacon Time, linky is weekly fri-mon. Come strut your stuff. yeah, you make it sound and look easy, but I doubt I could ever make it!!! This is sooooo cute! I am going to try and make one! So pretty, and I love projects for using up bits and pieces, since I have a LOT of leftover beads lying around. I'm so going to make those beautys :) Nice! Love this flower. So beautiful! Thanks for sharing! That flower is so pretty. The size is great. Thanks for sharing a tutorial. Very pretty! They would make great brooches! Thanks for the tutorial. I'm going to give this a try! Those are so cute! I haven't worked with beads or wire, but these look do-able to me! Love it! So pretty - I just may have to break out my beads and wire. You really make it look so easy. 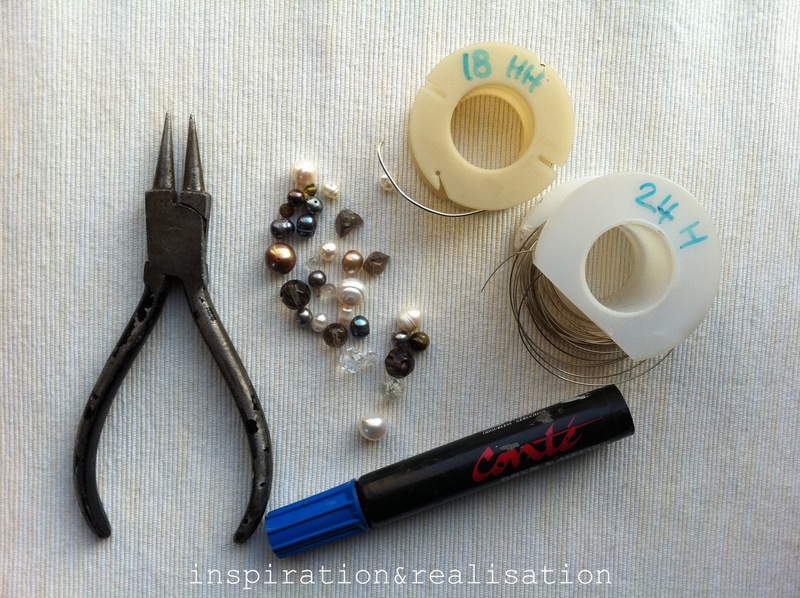 I have a party going on over at my blog that is dedicated to using your craft stash items. I make and attached on my baptism dress, hair-band and hair clips also. I love this! I am glad you shared it at the Stache Party! Great project! I will share on my blog!